Westfield Bank's executive leaders met for a strategic retreat to discuss the interests and aspirations that would define the bank's future plans for growth and innovation. 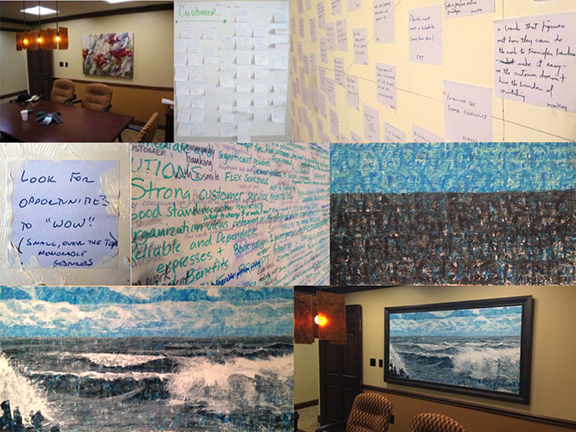 Ann Durr saved the post-its from that strategic summit and commissioned a painting that would capture this landmark moment in the bank's history. 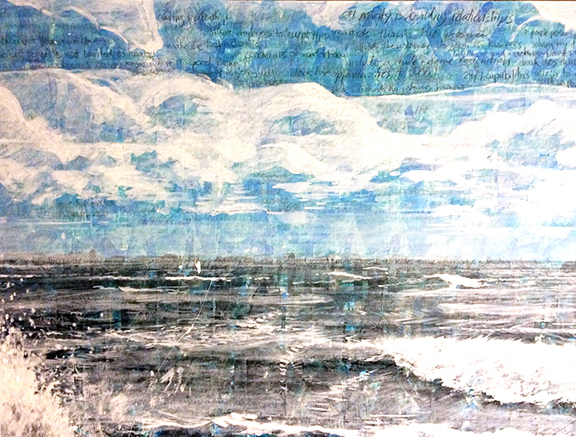 The original post-its were used to create the foundation of the painting, which was then developed using repeated text from the source material. The final painting is entirely composed of marks made from the words, thoughts, and ideas expressed during the strategic summit. The finished painting was temporarily displayed in Westfield Bank's Cuyahoga Falls branch, and now permanently resides in the patron's home. To this day, it inspires fresh points of recognition and revelation, capturing the bold and exciting spirit that marked the occasion. 4 ft. x 8 ft.